The concept behind free samples has long proven itself to be successful in the world of retail, and now the marketing strategy has been adapted by artists for use on Instagram, making music more social and boosting sales. There’s beauty in the simple sell of a free sample. If years of retail trends are any indication, one of the oldest, friendliest tactics in the marketing playbook puts numbers on the board. Take, for instance, Costco’s reliance on giveaways to drive revenue, profiled in a 2014 Atlantic article—pizza sales increased 600 percent following in-store freebies. Music snippets delivered right to your digital doorstep, kindly dropped into timelines, adheres to the same psychology, just as free mixtape downloads helped launch dozens of rap careers not long ago. Instagram’s founders might have never envisioned their photo-sharing app becoming one of music’s most crucial cornerstones, but evolution isn’t a wholly predictable science. 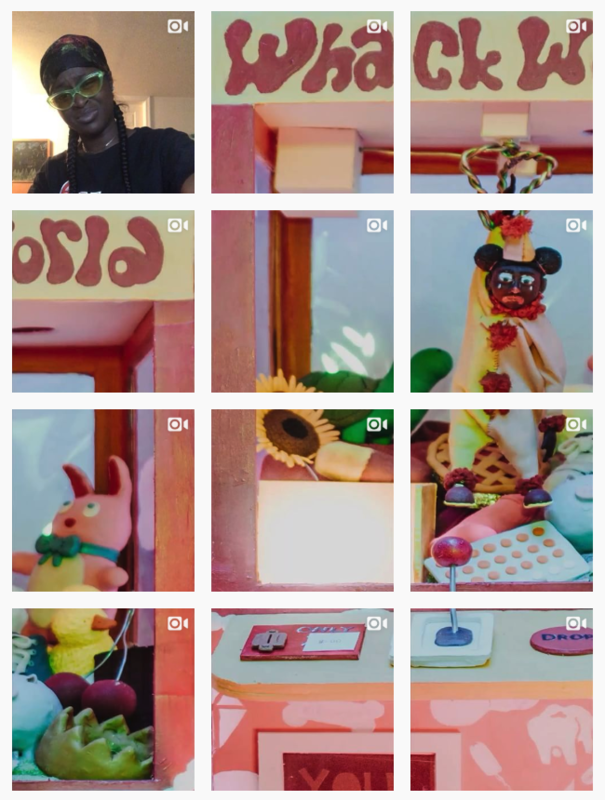 Perhaps no artist alive deserves more recognition for embracing the platform for music distribution than Tierra Whack, an impossibly talented hip-hop artist who uploaded every second of the 15 one-minute tracks comprising her debut album, Whack World, to her IG feed. Is she getting paid? Not directly. Does it matter? Yes and no. Each video Tierra posted to her feed was a different track on her album. In an ideal world, just about every use of intellectual property would generate some amount of income for the creator. Until we live in that world, however, a foot-in-the-door approach can move the needle—old news for members of the rap community. Instagram, by nature, is not designed to support music streaming: It’s not conducive (or even possible) to soundtrack a jog or morning commute via Stories, your feed, or IGTV. Instagram is, however, designed to expose us to more of what we like to see, and we like to spend lots of time doing that. Earlier this year, Recode reported that the average Instagram user clocks in about 55 minutes of screen time on the app every day. ‘Distributing’ (i.e: uploading clips synched to audio) an album to Instagram, then, is really just an adage in action: Follow the data. The opportunity cost of a ‘free’ project, sans ad revenue, on Instagram is somewhat marginal, because if a would-be fan enjoys the sample they spent 15 to 60 seconds with enough, they’ll likely generate the bulk of their repeat spins somewhere else. The correlation between viral social clips and Billboard chart performance is a healthy one. Every aspect of online life conditions us to do less. So much so that embedding a video directly into a tweet is all but guaranteed to draw more first-time or on-the-fence viewers than a lonely link in bio could hope to. Digital media lawyer Reed Smith seems to agree in a recent essay for MusicAlly, which points to conflicts between the realities of culture consumption and the well-intentioned antiquities of IP rules. 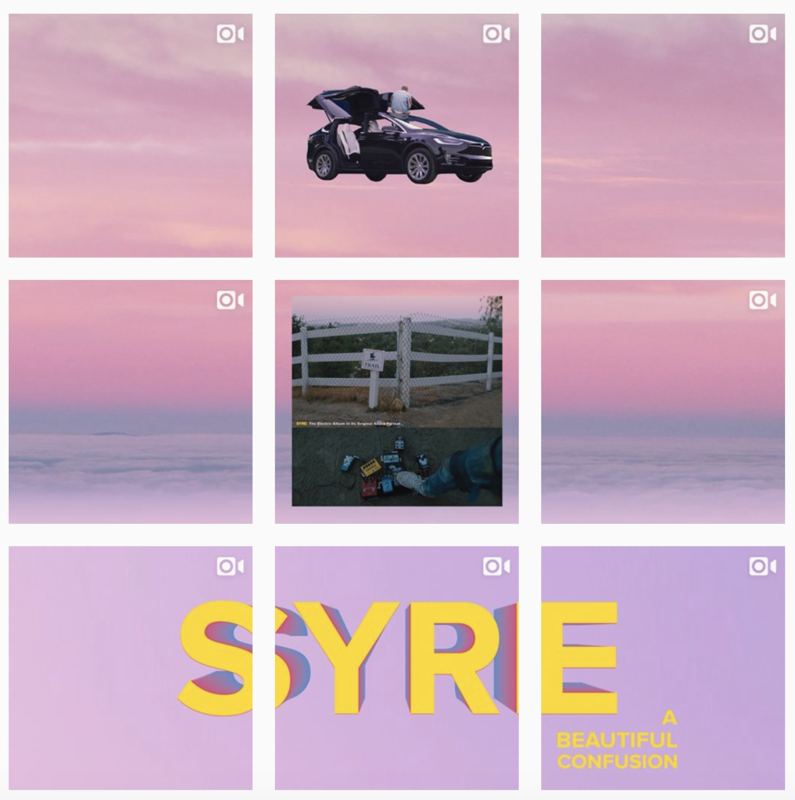 So Jaden Smith released his (remix) album solely on Instagram. It’s a typically obtuse promotional move from Smith, a pop star who once tweeted that “Instagram is not the answer”. Perhaps the release of his album was a postmodernist statement. But then again, he also once enquired on social media about whether mirrors could be real if “our eyes aren’t real”. So we have to assume that perhaps he knows some things that we don’t. At least by putting out his music on a purely social platform people took notice (even if he didn’t get paid). But then why isn’t music more social? In a world where people provide their own commentary on live events as they happen through Twitter, share photos on Instagram of every meal they eat, ask their favourite YouTube vlogger for make-up tips and argue incessantly with their family and friends on Facebook, where is the musical interaction? True, the dominant social media platforms are starting to take music more seriously, with Instagram adding music in its Stories feature; but are these really social experiences with music at the core? Yes, you now have an opportunity to share your video of you driving to work in the morning along with a clip from your favourite song, but is this really about the song or is it about you? The existing subscription streaming giants are primarily platforms for distribution, after all, not interaction – and from an artist’s perspective, distribution by third-party corporations is not neatly aligned with the control afforded by social media. Drake, the world’s biggest artist, knows this; he takes the fast money from the corporates, but is also a prolific user of social platforms to get the word out when he wants. Interestingly, he’s also a vibrant user of SoundCloud, using the platform to seed tracks and promote new artists from his label. From a pure audio perspective, it could be said that SoundCloud is the outlier – less of a distribution channel and more of a forum for fans, creators and artists to engage. More of that later. Perhaps the primary reason that music has not been more social online to date is copyright law and the licensing frameworks. This isn’t anybody’s fault. After all, copyright law is what affords artists, songwriters and producers a livelihood and has served as the foundation for our industry for decades. And when in the early Noughties, the rapid rate of adoption of unauthorised distribution of content files online – or filesharing, as it was innocently called – caught everybody off guard, the industry leaned heavily on the resilience and durability of copyright law to fight back. Social media, though, not only relies – but thrives – on activities that are somewhat anathema to the protective and exclusive nature of copyright: free and immediate sharing; constant editing; improving and degrading; appropriating and misappropriating; criticising and mocking; adapting and changing. All of these acts requires some form of legal permission. And yet to be socially adept in the modern era requires a deft ability to recognise creative works not only in their original format, but also after they have been magnified and enhanced by human interaction. In other words, a song will be more popular once the internet has engaged with it. Rick Rolling, anyone? This paradox between protection and freedom drives a new generation of artists who are increasingly comfortable shedding some of the protective clothing, or in some cases loosening the shackles, that copyright and its commercial privileges may represent in an online social setting. It’s telling that most of the excluded repertoire held back by publishers and labels from digital services is often music created by artists before the internet era. Modern talent recognises that there may be a trade to be made, a risk to be taken, by allowing social interaction with their music. Permission to interact could be to the detriment of commercial success, and in a worst case may cannibalise the original artform. Equally, however, the potential for virality, immediacy and ubiquity is seductive and could ultimately lead to precisely the opposite effect. That’s why Jaden Smith’s move is so exciting. The album he put up on Instagram is a series of electronic remixes of existing tracks. It is already a derivative work. At 20 years old, he’s likely a blueprint for artists of the future. Facebook’s music licensing programme is also exciting – remove the noise about the value gap, and you have perhaps the answer to the copyright quandary. Among the usual vague press release statements (which conveniently forgot some of the acrimony preceding the conclusion of licence agreements) was a neat quote from Michael Nash at Universal Music Group, who said, “This partnership is an important first step demonstrating that innovation and fair compensation for music creators are mutually reinforcing – they thrive together.” Some might interpret that to mean that Facebook paid a premium to allow their users to experiment, and that’s no bad thing. And then we come back to the re-emergence of SoundCloud as a revived platform, with a focus that moves away from pure distribution and closer towards the demands of today’s creator. Artists can take chances, release when and how they want, mix things up and allow people to engage with the art form. It was hard to do that when copyright was failing and there was no money to be had from streaming. But now that the law has started to catch up and consumers are persuaded of the phenomenal bargain represented by all of the world’s music for $10 a month, there is a hope of more freedom to innovate and play with new business models. As Jaden Smith himself might say, the more time you spend awake, the more time you spend asleep. In a nutshell, it’s far easier to nurture fandom once listeners have entered the artist’s orbit. Native content helps make that happen. Takedown notices, issued against various meme accounts, stifle every meaningful aspect of fandom in 2018: discovery, discourse, referral, cross-pollination, etc. A thoughtful project rollout on Instagram serves as a gateway. For Jaden Smith, the buzz earned from his freely accessible electric release likely led to appreciative fans, and enough appreciative fans return the favor down the line. J. Cole’s famed Dollar and a Dream tour dates ($1 entry at intimate locations across the country) fostered a similar outcome connecting consumer to creator: gratitude. Instagram offers enormous value with audience insights and digital marketing opportunities, connecting dots by converting on-platform users to off-platform value: ticket sales, merch purchases, views, and beyond. There’s little reason to exclusively release substantial material to any one endpoint, especially without a licensing system in place to compensate artists for releases posted to their own accounts. Content windowing only makes sense to an extent. Native-to-social campaigns operate best as stepping stones toward subsequent fan actions, and content distributed to one platform will likely add value to another. At the end of the day, Jaden Smith’s lauded use of Instagram is simply recombination—and free samples—done right: The full album is available to stream on DSPs.